Eager to get health insurance starting Jan. 1, Americans flocked to state and federal Obamacare exchanges to sign up for policies. The federal exchange site, healthcare.gov, saw nearly 2 million page views and the call center received more than 250,000 calls Monday, officials said. It was a record traffic day that left some consumers stuck in an electronic line on the website or on hold for long periods on the phone. Some CNNMoney readers wrote Monday of frustrations signing up, particularly over the phone. But others, particularly those with pre-existing health conditions, said they were thankful to have been able to get insurance for 2014. Anticipating a traffic surge, the Obama administration extended the deadline to Tuesday to allow those who ran into trouble more time to qualify for coverage starting Jan. 1. Activity remained high Tuesday, though less than the previous day. On Tuesday afternoon, the administration said it would work with people who try to enroll by the deadline but fail to finish the process. "[W]e still may be able to help you get covered as soon as January 1," health officials said. Interest has been brisk in recent weeks, particularly after the administration addressed many of the technical problems that plagued enrollment for the first two months. President Obama said Friday that at least 1 million people had signed up for coverage, up from roughly 365,000 through Nov. 30. That includes sign-ups on both the federal exchange and those run by individual states. However, it does not factor in whether applicants had made a first payment to their insurer -- a crucial last step before coverage begins. It also does not include a flood of new enrollees for Medicaid. As of Nov. 30, more than 800,000 were found eligible for the insurance program for the poor. States running their own exchanges also reported increased activity in recent days. 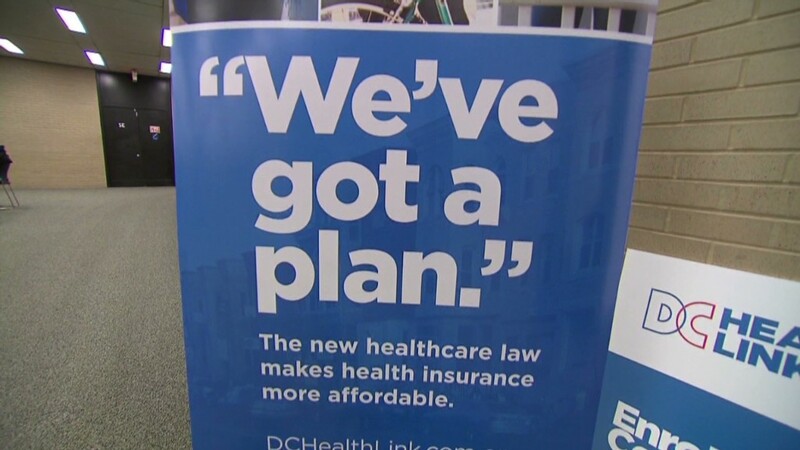 More than 6,700 Connecticut residents and small businesses signed up for coverage on Monday, more than double prior results for a single day, exchange officials said. More than 62,000 people have signed up for coverage, including Medicaid enrollees. In New York, nearly 20,000 people selected private policies on Monday. That's on top of the nearly 137,000 who had picked plans since enrollment opened on Oct. 1. New York extended its deadline to 11:55 p.m. Tuesday. More than 27,000 people signed up for coverage in California on Sunday, with a total of 77,000 picking a plan in recent days. And in Kentucky, more than 26,000 have selected plans, with nearly 5,100 sign-ups coming in the past week. Other states have given their residents more time to enroll. Minnesota and Rhode Island residents, for instance, have until Dec. 31 to pick plans. Americans who have selected policies still have one more step to take before enrollment becomes effective Jan. 1. They must pay their first month's premium. The insurance industry trade group has said folks who pay by Jan. 10 can have coverage retroactive to the start of the year.